top: c/o SheInside // skirt: Nordstrom // booties: similar // hat: similar // bag: similar This is one of those girly meets punk looks. Similar to the Rough Meets Romantic post I did, here. It’s fun to mix unexpected pieces together. I could easily see this outfit working with a backpack or cross body bag for a more on-the-go look. I found a Pinterest board called “edgy Chic”, which has more ideas on how to style this type of look, see here. You could try pairing a leather jacket with a lace or floral dress. Really, if you put together any ultra girly item like a skirt or dress with a pair of edgy boots you can pull off the look. If you’ve styled an girly/edgy look I’d love to see it. Send me a link in the comments! Have a great week! Very cool look. I really like the bottom. that outfit rock! you rock! Loooove this look! 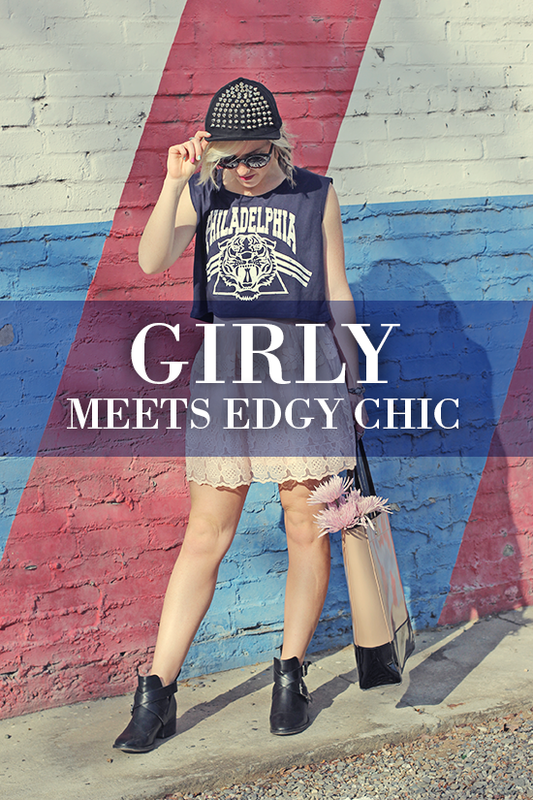 You pull of the edgy chic look so perfectly! I love your girly skirt with the t-shirt and booties!! Everything seriously works so well together. Love! Loooove this mix of styles. So stinking cute! Love this combo! That skirt is too cute! I love how you paired something edgy with that lace skirt! Super cute! Cool look and lovely photos. 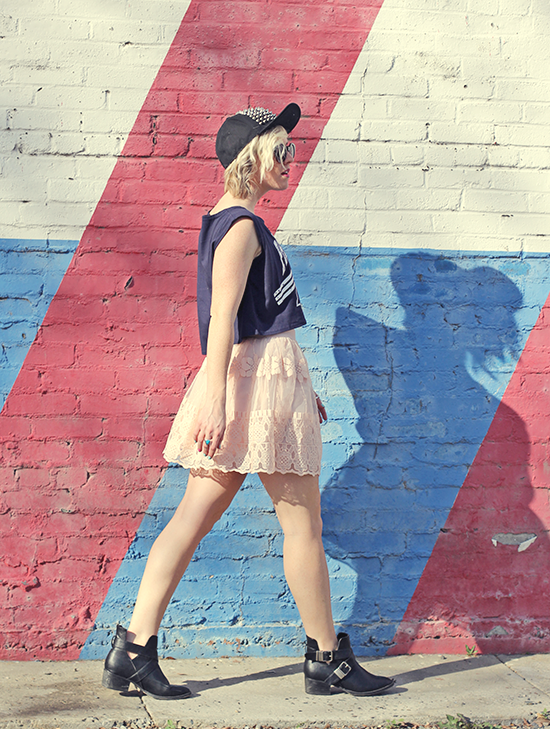 I love the graphic tee paired with the lace skirt. 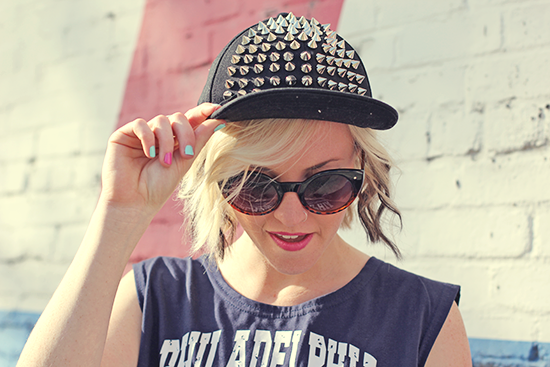 You look great and that cap is awesome!